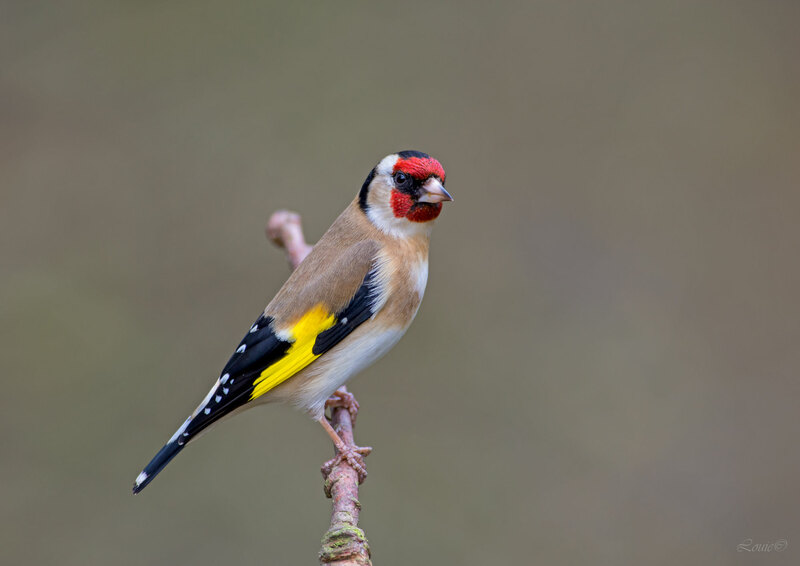 The European goldfinch or goldfinch (Carduelis carduelis), is a small passerine bird in the finch family that is native to Europe, North Africa and western Asia. It has been introduced to other areas including Australia, New Zealand and Uruguay. 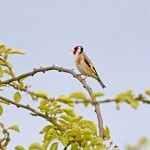 what a pretty Bird in looks and song, I don't have to look too far for these pretty birds as they nest in my Laburnum tree every year The goldfinch has a red face and a black-and-white head. The back and flanks are buff or chestnut brown. 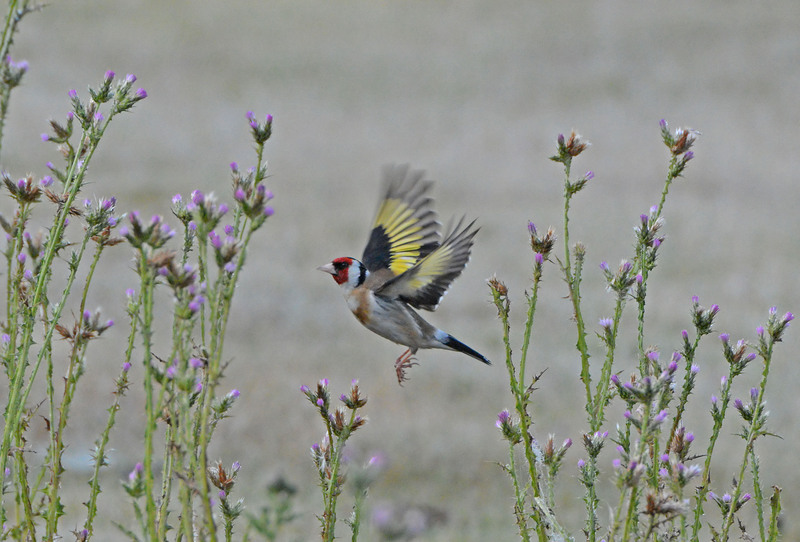 The black wings have a broad yellow bar. The tail is black and the rump is white. 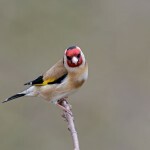 The female is very similar to the male but has a slightly smaller red area on the face. 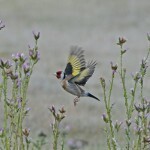 The goldfinch is often depicted in Italian renaissance paintings of the Madonna and Child. 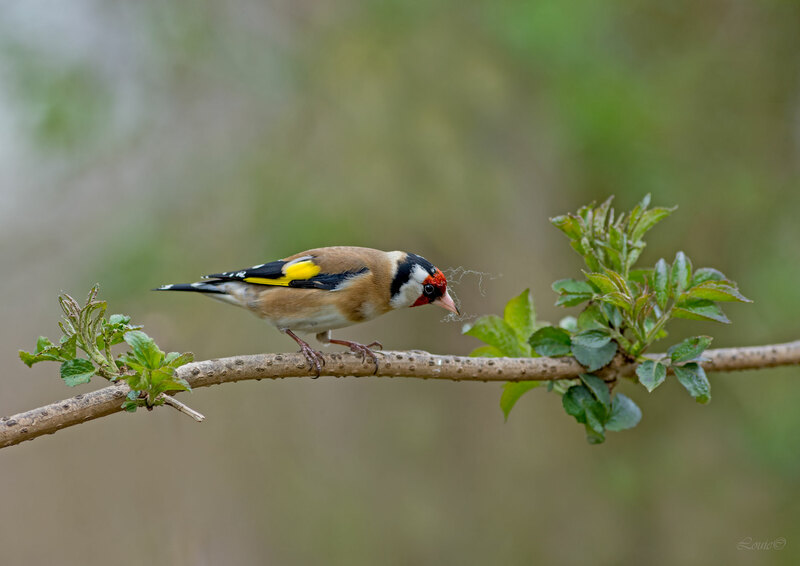 The average goldfinch is 12–13 cm (4.7–5.1 in) long with a wingspan of 21–25 cm (8.3–9.8 in) and a weight of 14 to 19 g (0.49 to 0.67 oz). 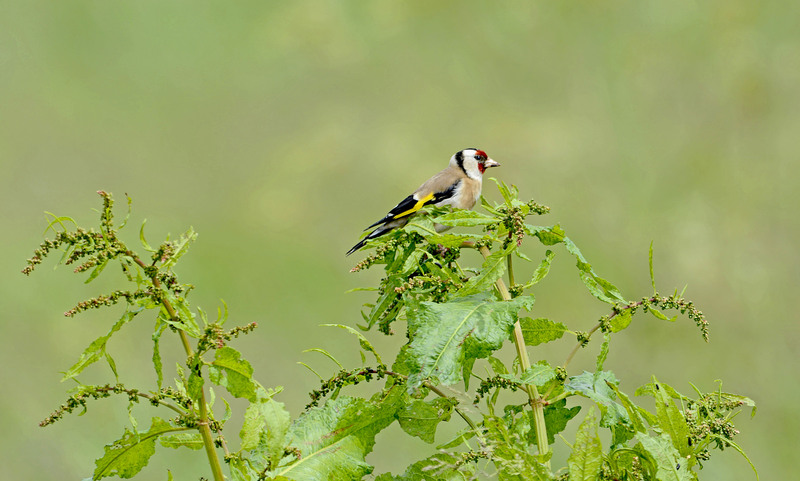 The sexes are broadly similar, with a red face, black and white head, warm brown upperparts, white underparts with buff flanks and breast patches, and black and yellow wings. 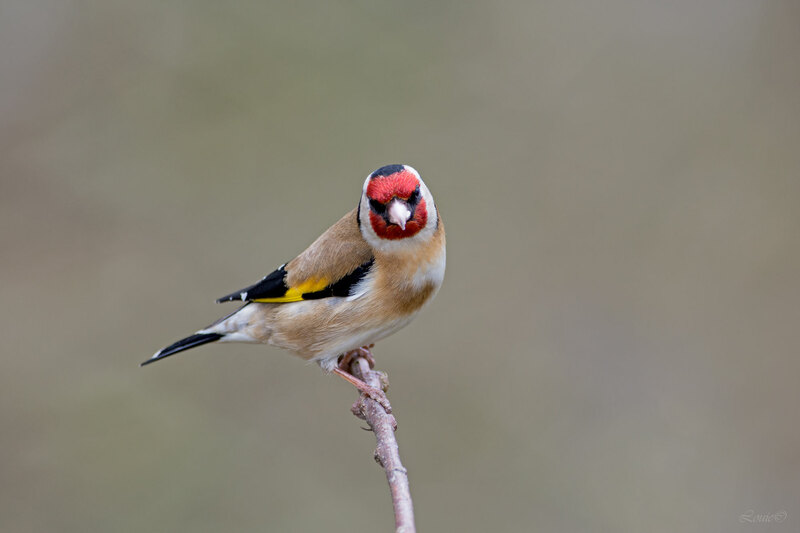 On closer inspection male goldfinches can often be distinguished by a larger, darker red mask that extends just behind the eye. In females, the red face does not extend past the eye. 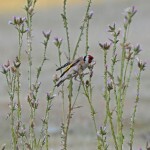 The ivory-coloured bill is long and pointed, and the tail is forked. 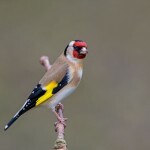 Goldfinches in breeding condition have a white bill, with a greyish or blackish mark at the tip for the rest of the year. 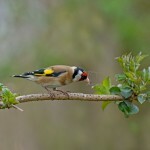 Juveniles have a plain head and a greyer back but are unmistakable due to the yellow wing stripe. 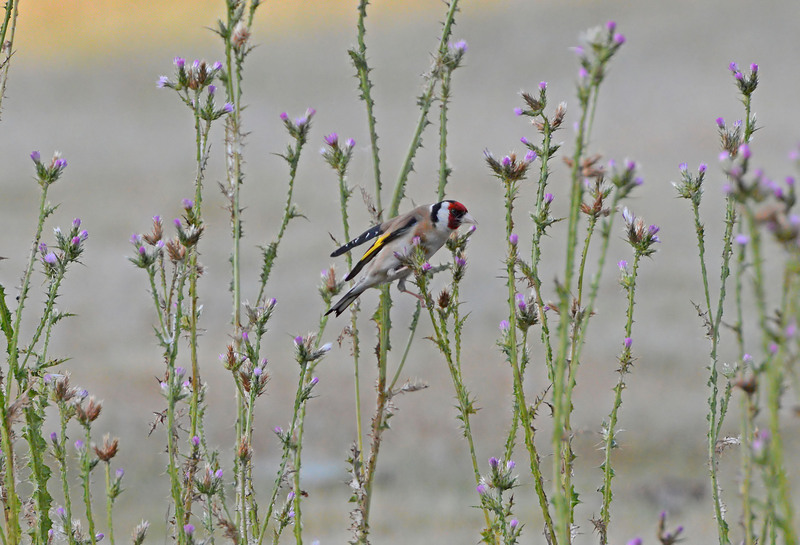 Birds in central Asia (caniceps group) have a plain grey head behind the red face, lacking the black and white head pattern of European and western Asian birds. The song is a pleasant silvery twittering. 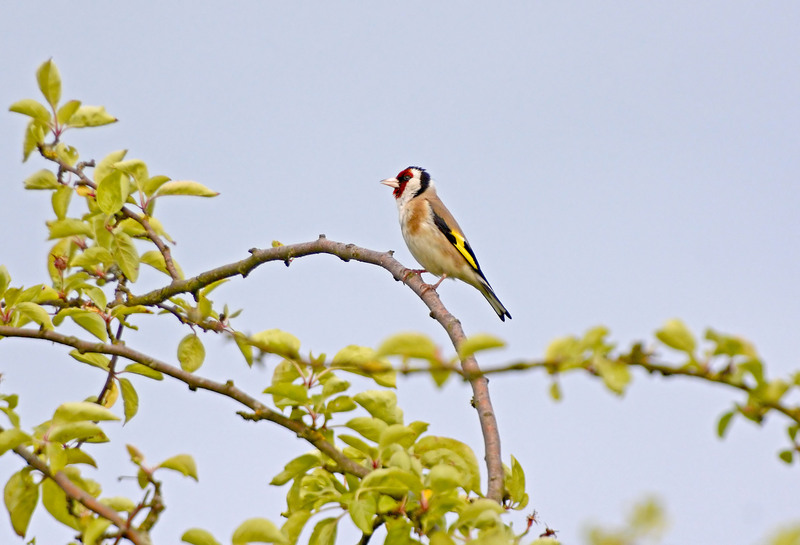 The call is a melodic tickeLIT, and the song is a pleasant tinkling medley of trills and twitters, but always including the trisyllabic call phrase or a teLLIT-teLLIT-teLLIT.